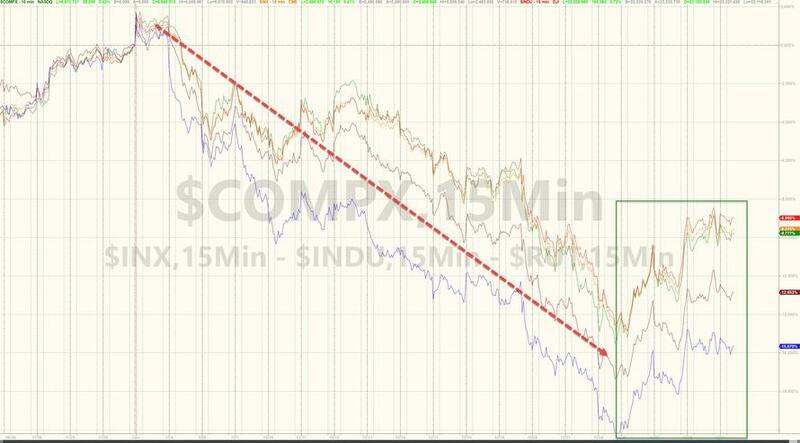 The world's central banks' safety harness finally gave way and one by one the world's markets started to plunge. 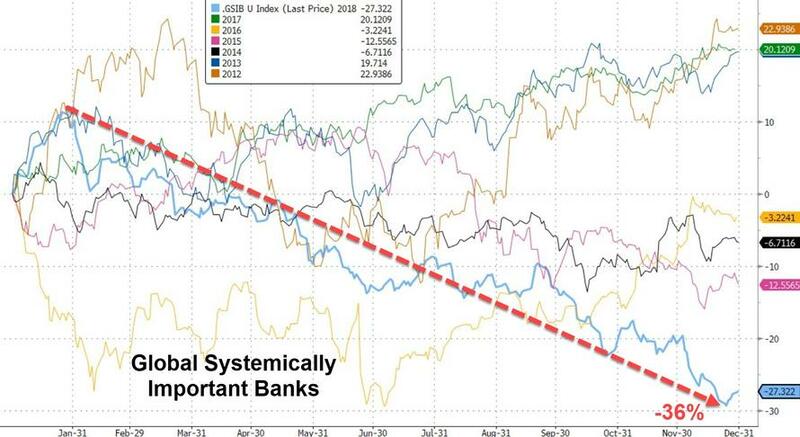 But they said "It could never happen again" ... fortress balance sheets and all, and yet global systemically important banks collapsed in 2008. 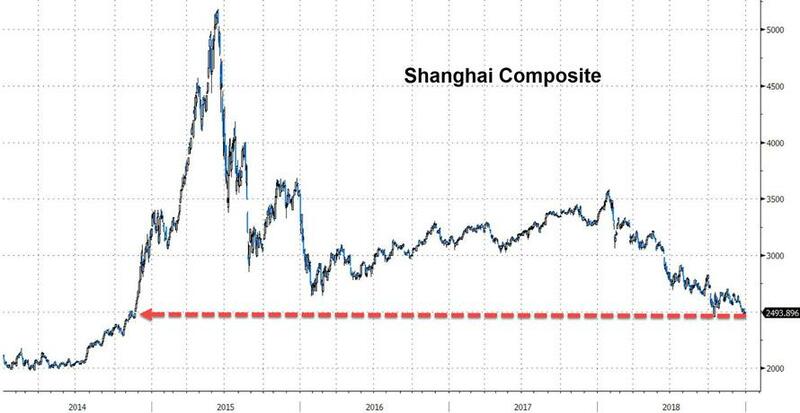 This was China's 2nd worst year on record (2nd to 2008). 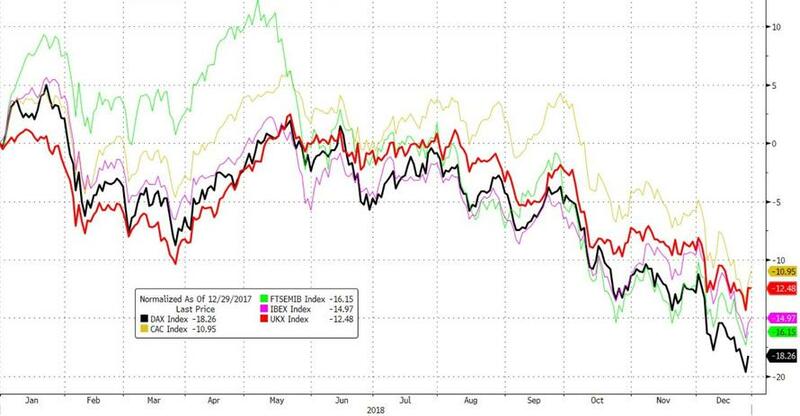 And as Project Fear kicked in, The FTSE 100 ended 2018 down 12% - also its worst year since 2008 - but Germany's export-heavy DAX was even worse. 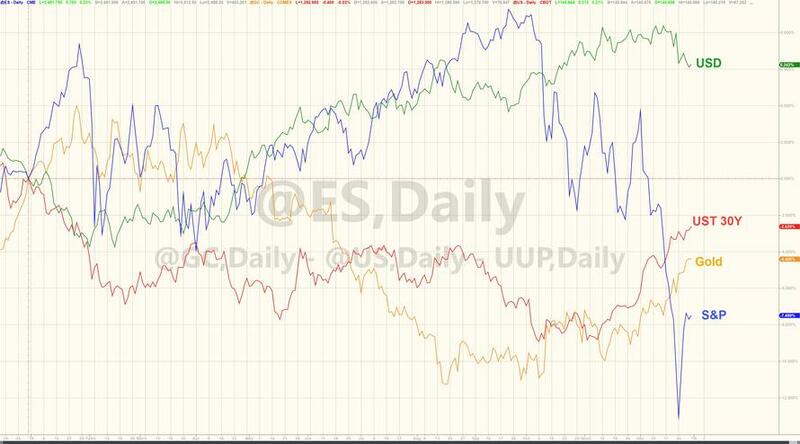 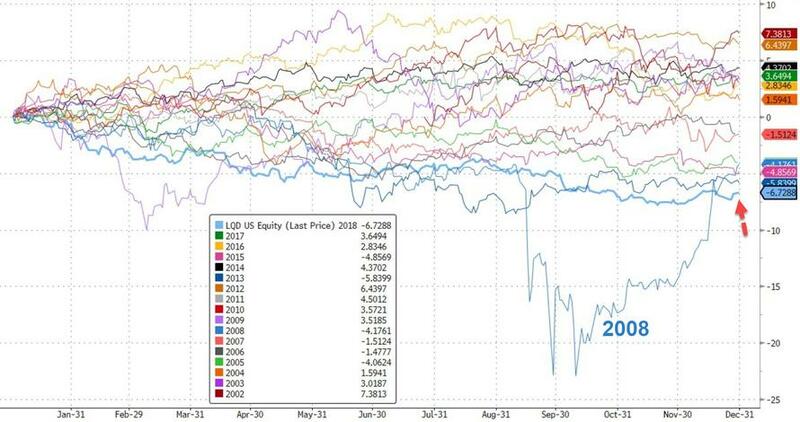 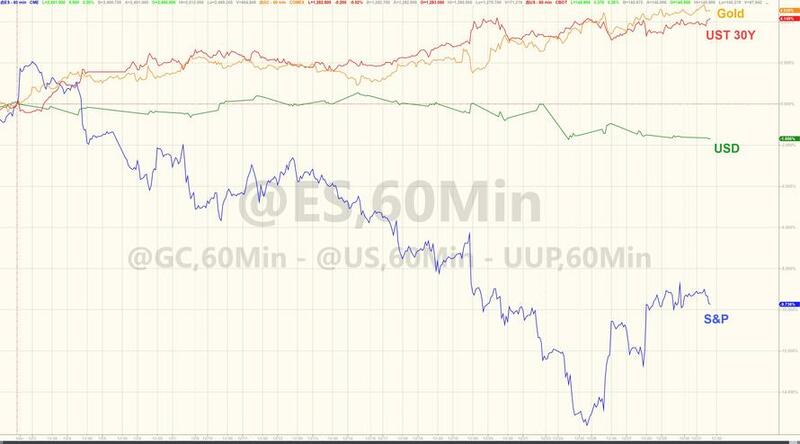 US equities looked unstoppable... until Humpty Dumpty fell off the wall. 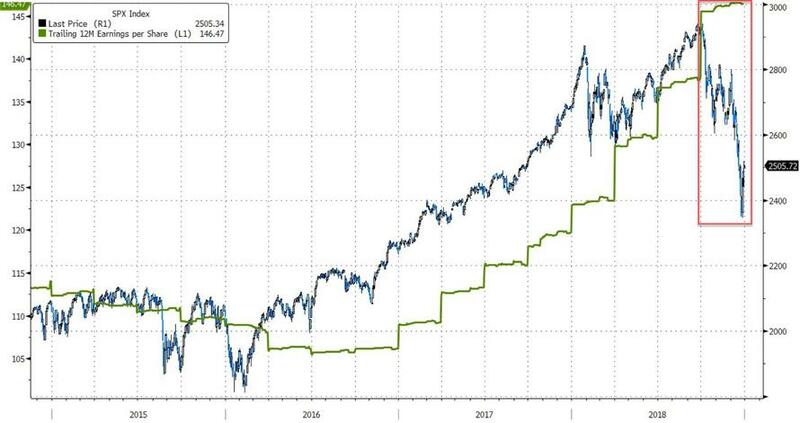 So what should retail investors do? 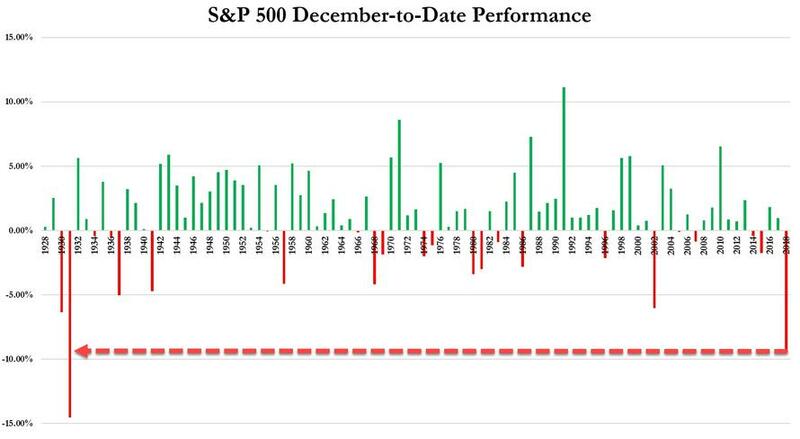 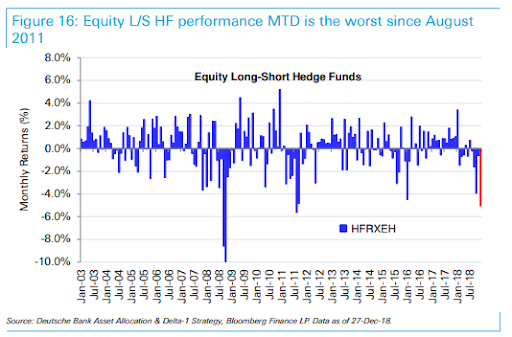 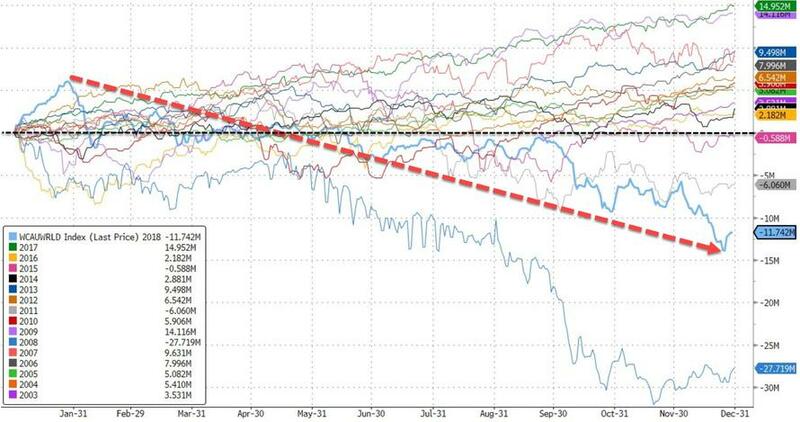 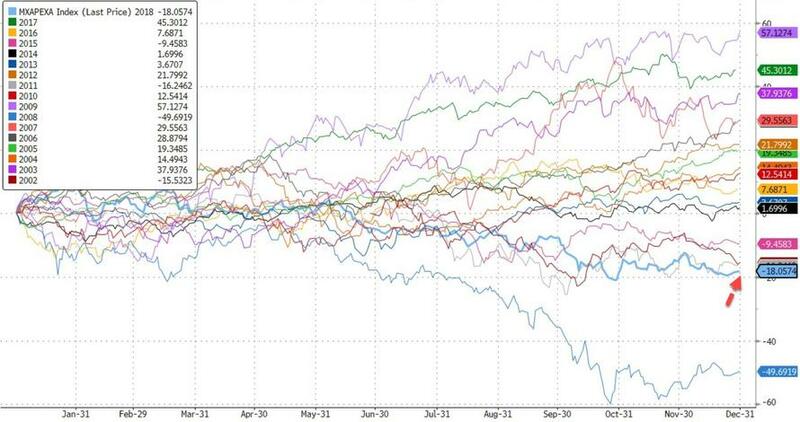 Well don't turn to the hedgies - Long-short equity fund performance in December is the worst since August 2011. 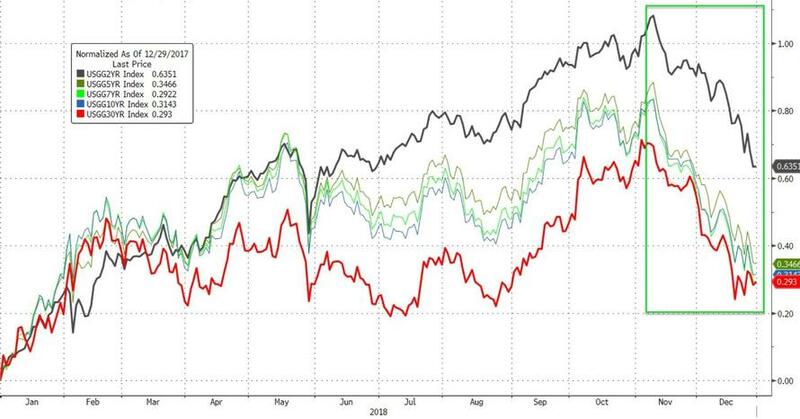 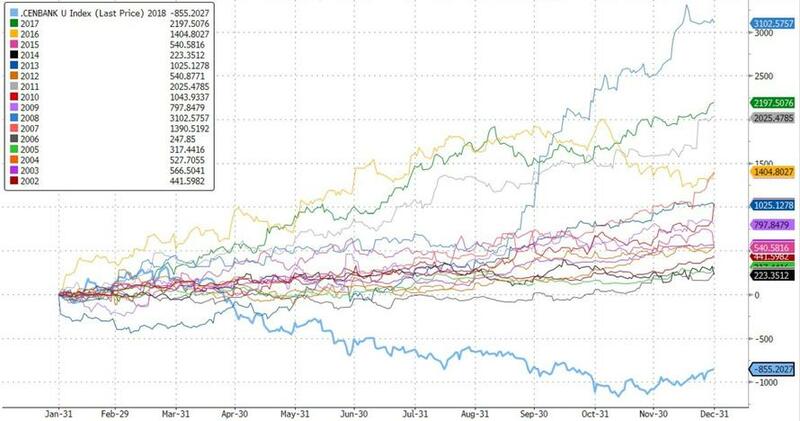 Bonds were all underwater on the year - despite a huge compression in yields over the last two months - with the short-end the worst performer on a yield basis. 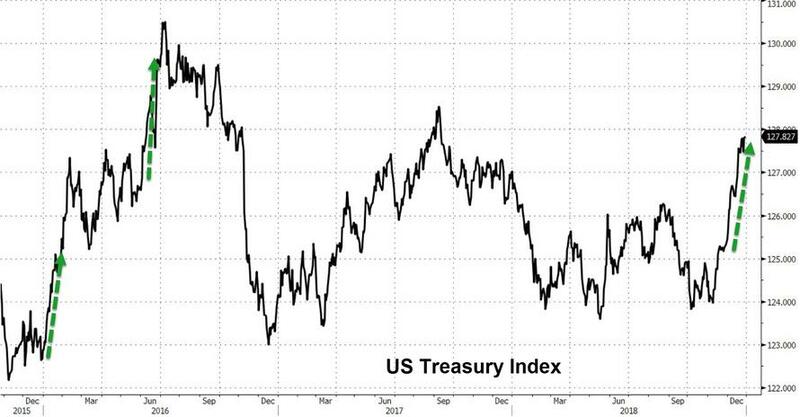 In fact this is the Treasury market's biggest monthly rally since Jun 2016. 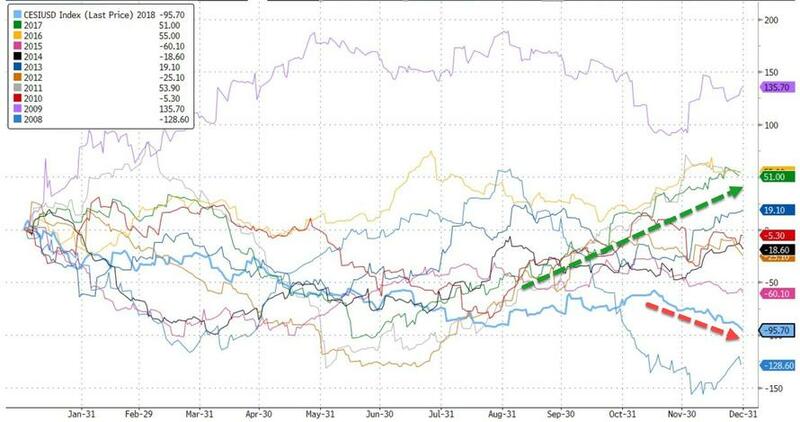 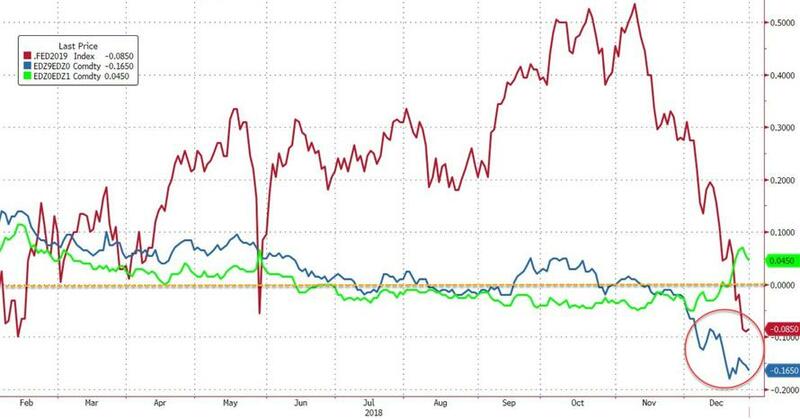 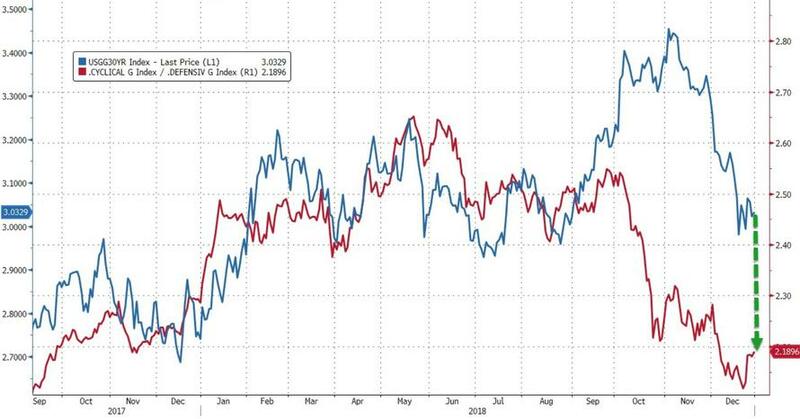 While Treasuries were bid recently, corporate bonds were not... 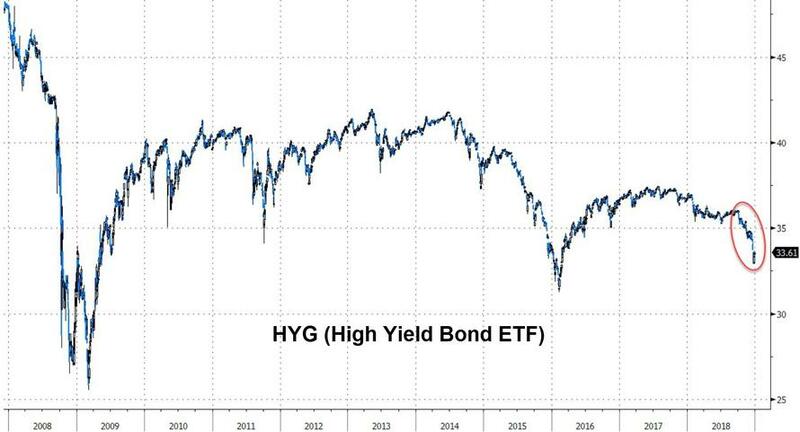 Junk bonds tumbled in December, for the worst month since Dec 2015. 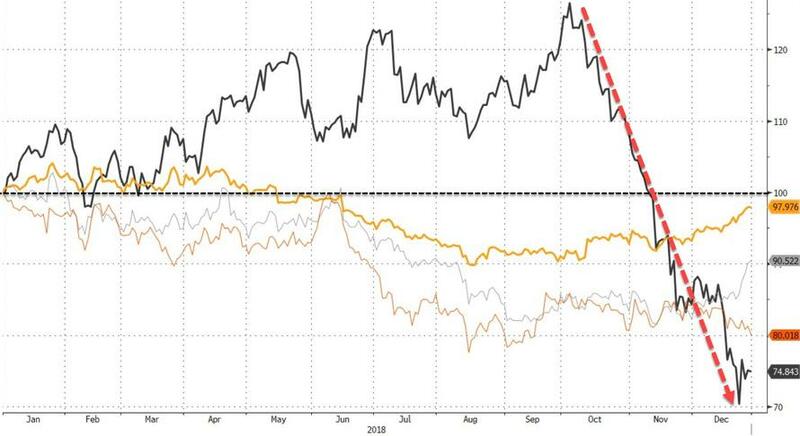 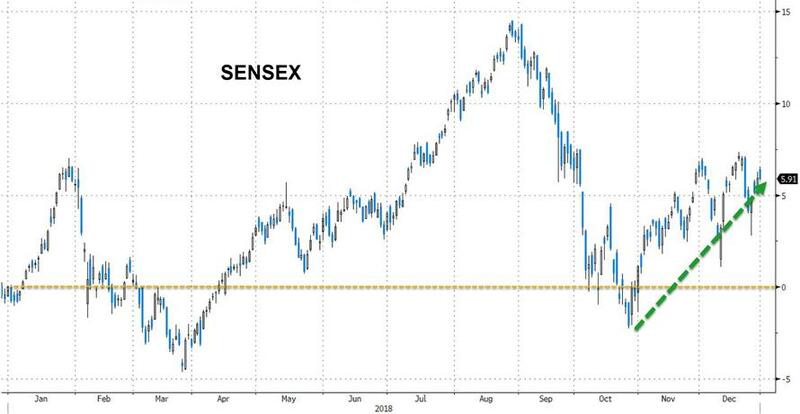 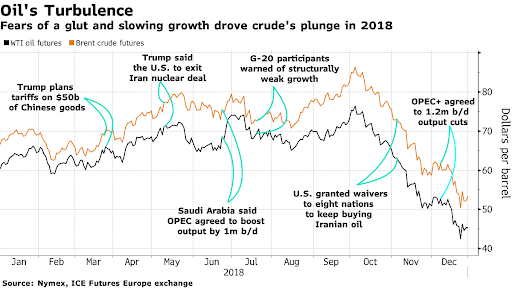 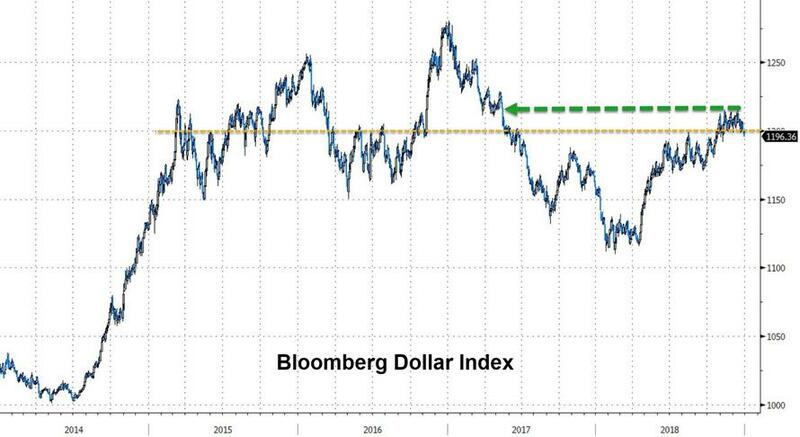 "Simply looking at the markets would suggest that the global economy is headed into recession,” said Robert Michele, chief investment officer and head of fixed income at J.P. Morgan Asset Management. 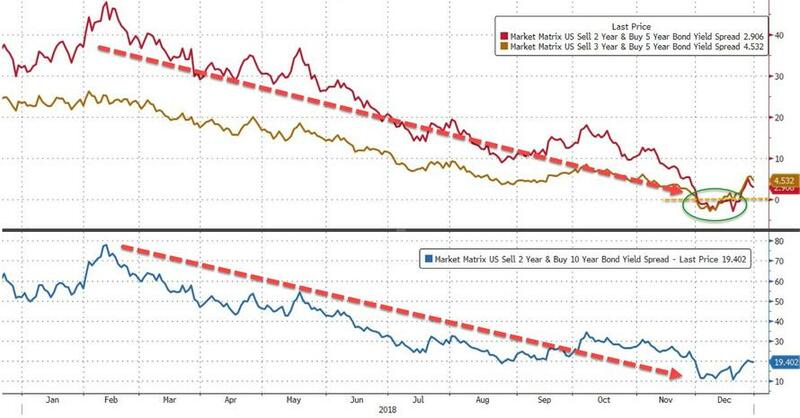 "Already, commentary out of the Fed suggests that it is nearing the end of a three-year journey to normalise policy." 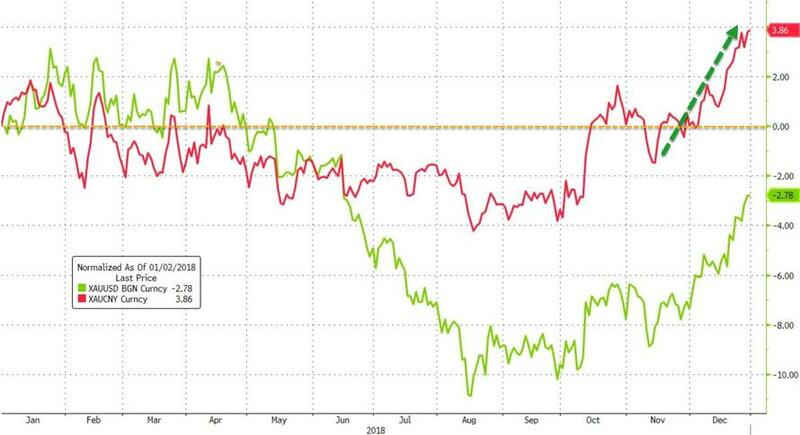 The question is - will the Fed's policy error reversal crash stocks further amid a total loss of confidence in central command once again? 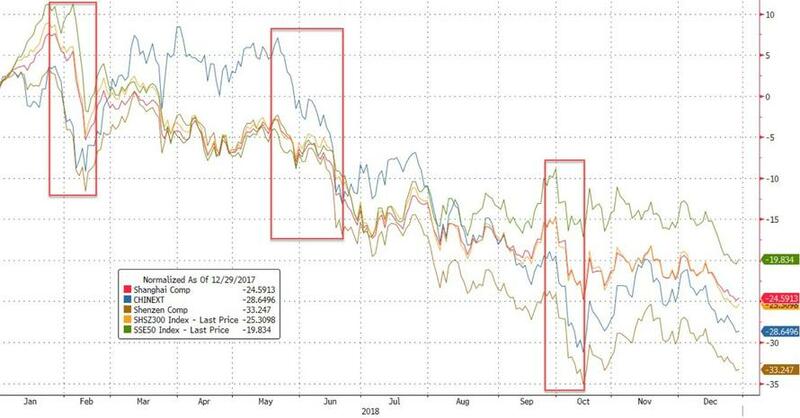 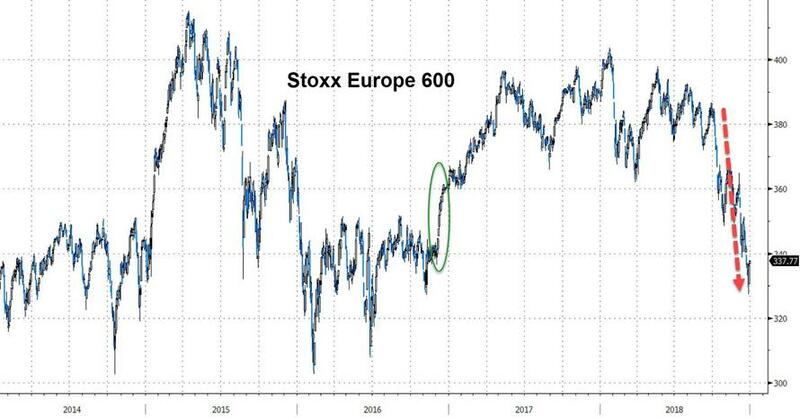 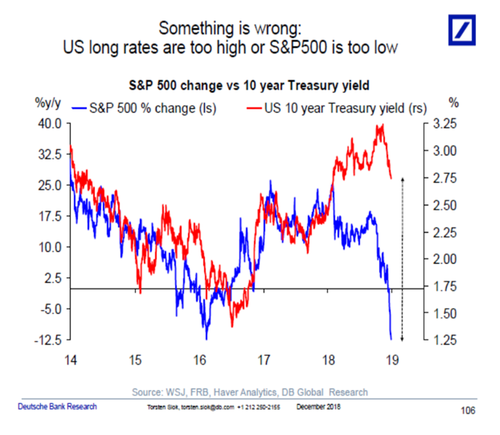 Finally, we note with a glass of champagne inches away from our hands, this will not end well for bond bears and if bond shorts are squeezed - what happens to stocks from there?